What is Life but a series of small jugaads that keep us going and going good! Indians have always been so good at this skill. 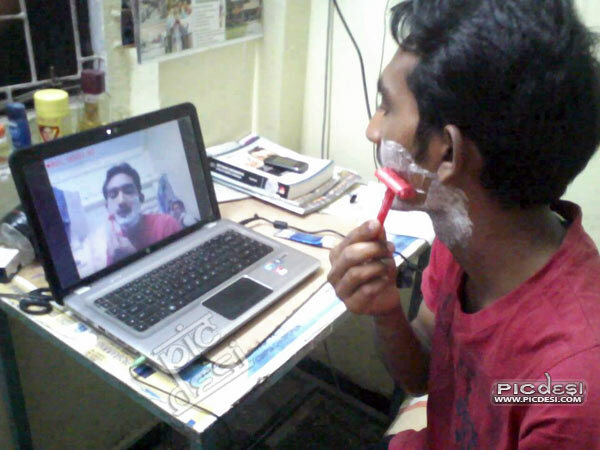 You want some work done or want to do some work…jugaad baby jugaad. But in case, if you can’t my friend…then with all due sympathy…. you are dead. Your life is Nothing. Oh no don’t cry…. 1. You wanted to float you will float… the fuss?! 2. Tahnde thande paani se nahana chahiye…even if shower’s not there, lagana chaiye! 3. 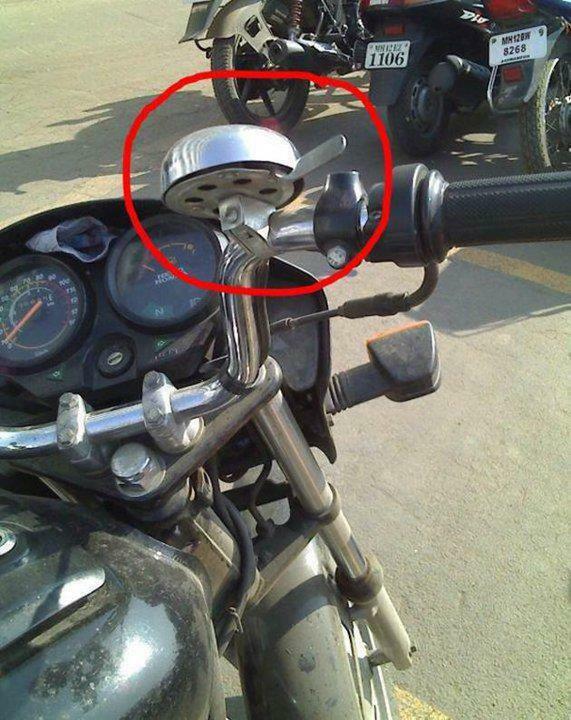 Horn doesn’t work on your bike… Try this. 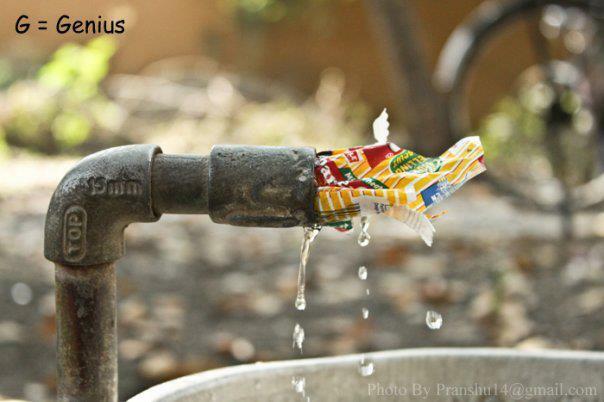 4. Who needs a tap when you have Parle-G wrapper! 6. Who needs to buy a dish when all you need is to wish! 7. Macchar bhi peeta hai! 8. Now can you beat that? 9. So, we have been fooled till now! Iron or flat iron what’s the difference huh? 10. Didn’t get a reservation? Who the hell needs one! 12. Never mind not having a turbine…bike hai na! 13. One AC two rooms? No problem! 15. Why need an I-Pod when you can do this! 16. Try and make me cry now onions!! 17. My Maruti 800 is now well protected. Fancy automatic security systems…go to hell! 18. Gas chulha, convention heaters, microwave..go take a hike! I have iron! 20. 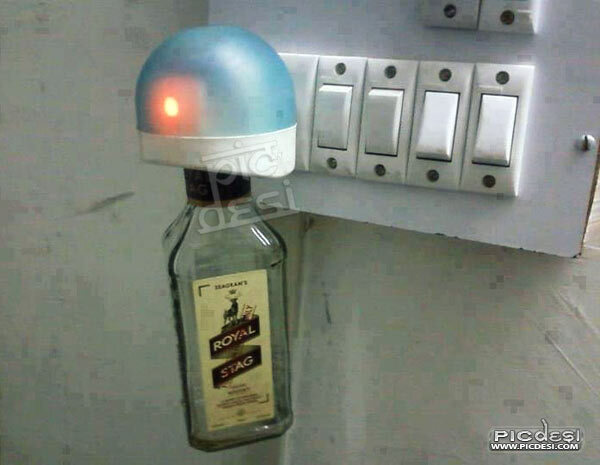 And the most cringe-worthy jugad ever! DO SHARE! BECAUSE YOUR FRIENDS DESERVE TO LAUGH TOO.